There is something that all disease states have in common, and it is not only the feeling that our bodies are completely screwing us over. Regardless of the medical symptom or condition, EVERYTHING is worse when our blood sugar is imbalanced. I don’t care who you are, or what your health concerns are: if you eat too many refined carbohydrates (WHITE FOODS), your body is not going to feel very well. Refined carbohydrates and high sugar intake raise our blood sugar levels very quickly, make it harder to keep our energy levels stable, and make us very vulnerable to crashing physically and emotionally. Think of me as a reverse-racist against white foods. If you are wondering what types of foods these are, think of all the things you probably crave: white sugar, pasta, bread, white rice. These are foods that give you a quick boost in blood sugar because they have had all of their fibrous parts removed. The difference between white bread and whole grain bread? The most dense and fibery part of the grain used to make the bread has been removed. The difference between brown rice and white rice? The strong outer hull of the rice grain has been removed. The result of this “refining” process is that the remaining product dissolves more easily in our stomach and intestines, which gives us a quicker boost in blood sugar (think of those little sugars from the bread or rice quickly moving from our digestive systems into our bloodstream). How does this make us feel? Frankly, sometimes we get straight up high from this transaction. Foods that are highly processed or refined raise our blood sugar levels very quickly. Sugar in our blood (glucose) is literally the building block for energy in our bodies. High sugar intake generally equates to a big boost in short-term energy production. Since we make energy INSIDE of our cells, the sugar must get from our bloodstream into the cells through the cell membranes. Insulin is the hormone that makes this happen. When we have a big delivery of sugar to the bloodstream, our body senses that insulin must be released from the pancreas. Insulin helps get that sugar into the energy factories inside our cells. The larger the delivery, the more insulin is released. When we eat a LOT of these kinds of refined foods, we produce a LOT of insulin. The sweeter the food in our mouths, the more insulin becomes primed for release before that food even gets into our bloodstream. I think you can see where I am going with this. Why Doesn’t High Sugar Intake Mean High Energy? The breakdown happens when this demand for insulin happens too frequently. The pancreas actually can become exhausted from all of these sudden demands for insulin, and eventually it becomes less and less sensitive to the sugar deliveries. This leads to blood sugar levels that get higher and higher, as less sugar is taken up into the cells. Eventually, this excess load of sugar can cause inflammation in many parts of the body. Sudden or prolonged dips in your blood glucose can also contribute to many other health conditions due to the spike in stress hormones that results. To read more about Anxiety and blood sugar issues, click here. What we FEEL when this is happening is like a roller coaster in energy. Despite our sophisticated lifestyles, our brains are essentially those of caveman and cavewoman. When we are tired, we reach for refined carbs because it is the quickest way to make energy. But over time reaching for these foods first creates a roller coaster of energy. We spike, and then we crash. Anyone who has over-indulged in holiday candy and alcohol (PEPPERMINT BARK, PLEASE SOMEONE SEND ME SOME) will recognize this feeling. Before you eliminate anything from your diet, start thinking about confirming that the foundations of a healthy diet are in place. Are you eating enough protein? A typical calculation for healthy protein intake for the average person is 0.8-1.0 grams per kilogram of body weight. Here is a converter to help you calculate.. If you were to pile all of the food you eat in a day on the table, would fruits and veggies make up a third to a half of everything you eat? If you aren’t even close, start there. 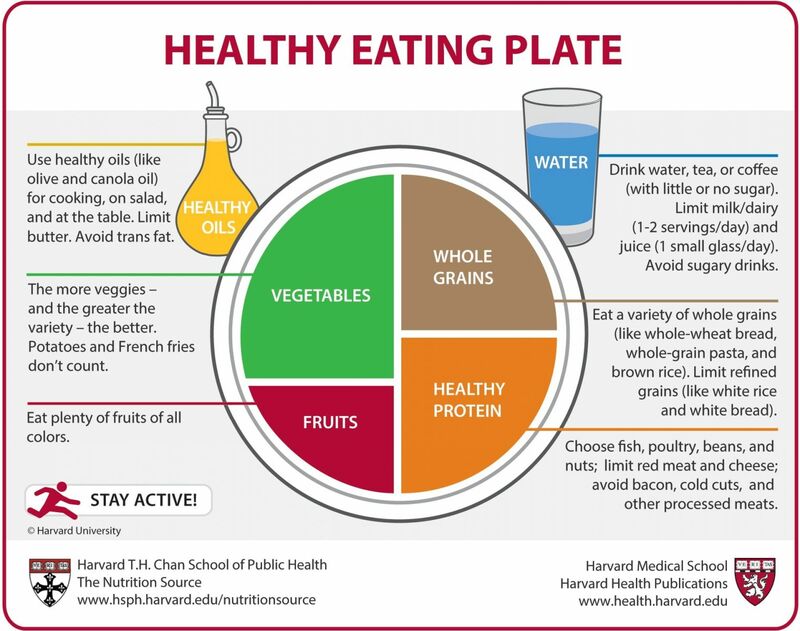 I love this visual: Healthy Eating Plate. Protein and high-fiber fruits and vegetables take longer to break down in your stomach and intestines. Think about how long it takes a grain of cooked white rice to dissolve in a glass of water, versus a piece of apple or a small meat fiber. (You can literally do this experiment in your kitchen.) The latter two will take much longer to break down. What this means for your body is that they will more slowly cross into your bloodstream, and they will support energy production in a slower, more steady manner than a white food. No matter what else you eat- a six pack of Diet Coke per day? A pint of ice cream for dessert every night?- make sure that your protein, fat and veggie intakes are healthy. As a lifelong lover of sugar, I hate it when people offer simple advice for breaking the habit. There are strong physiological reasons why people crave sugar- again, remember that we are cavemen. If you are fatigued due to metabolic issues, disease states, sleep deprivation, or any other clear cause, you are more likely to crave sweets and refined carbohydrates to boost your energy. But there are emotional reasons why people eat sugar as well. For some people, there is a calming effect from a high carb intake that mimics a rush of serotonin or dopamine from antidepressants. It can be a coping mechanismto help you intentionally crash and fall asleep when you have anxiety. Though I obviously don’t advocate the use of carbs to manage emotions, I also understand that this is where many people’s habits originate. The problem with continuously giving into these cravings, however, is that you worsen your fatigue over the long haul. When I see patients in my practice, I make it very clear that I am a strong believer in moderation. I like to create plans with my patients that are a little slower to implement, so that they create a lifestyle that they want to sustain over the next five to ten years. Drastic changes, unless they are warranted by a severe disease state, are rarely lasting. With anxiety in particular, if carbs are helping you in the moment to gain a sense of calm or even numbness, when your blood sugar drops again you are more likely to begin to experience worsening anxiety. You create a deeper and deeper cycle that becomes unsustainable. The same cycle exists for fatigue. With a high-carb lifestyle, small changes can make a big difference. If you eat sweets every day – for example, you love that candy bowl at work, or you love to have ice cream after dinner- begin by cutting your intake in half. Could you go to three or four days per week only? If you hit the candy bowl multiple times per day, could you try only once? For some people, when attempts at moderation are not possible, we try a two week full elimination, just to break the habit. But for most people small alterations can go a long way. The benefit of going cold-turkey, of course, is that most people will notice how much better they feel within 3-5 days. Some people with a high-carb dietary intake will feel terrible for the first few days, but if they are properly nourished with adequate protein, fat, and high fiber grains, fruits and vegetables they often begin to feel better right away. The foundations of health begin with stable blood sugar, which has to begin with what you put into your body. If you don’t feel ready to break the habit now, begin by rounding out what you are eating with consistent, high-fiber food to help offset the spikes and dips in your blood sugar. As you experience more stable energy production, you will be less likely to crave carbohydrates to balance out your energy from moment to moment.